More than one hour of exercise can reduce the risk of breast cancer, a new study finds. Although the type of tumor that women have on exercise may reduce the risk of breast cancer. On women, too, partly. One study found that daily exercise was extremely beneficial for women of all ages. Researchers analyzed a study of more than 4 million women worldwide. When compared to women who exercised daily, those who exercised were at greatest risk of breast cancer. Of them was reduced by up to 12% if you exercised properly. "These findings are important for women of all ages," said Dr. Hilary Dobson. While the mechanism of physical activity is still unclear, analysis has provided women Motivated to increase physical activity.​​ Exercise has been noted: Exercise can help prevent and fight other cancers and heart disease. In addition to cancer, which includes the type of cancerous fungal cancer, can be prevented by physical activity, it should encourage Develop a city that promotes biking and walking, create and motivate a lot of exercise.​​ The research noted that hormone therapy responded to the effectiveness of exercise. 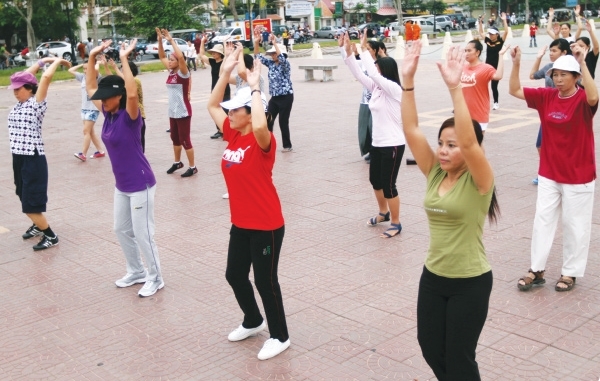 They point out that the increase in the number of women will still benefit from more exercise.